“OUR 30 FAVORITE B&Bs Think you know B&bs? We did, too—until we stayed in some that took the concept and elevated it to pure bliss. . . . Beall Mansion ALTON, ILLINOIS. "A concierge e-mail when you book, a glass of champagne or sparkling cider when you arrive, a 24-hour chocolate buffet when a late-night craving kicks in? "And the Beall offers more than breakfast. "Bed and Graze" is a better term. The dining room features a 24-hour chocolate and hot-beverage buffet. An antique wooden buffet holds crystal tiers and dishes filled with everything from dark-chocolate-drenched fruit to Hershey's Kisses. The hot beverages include the inn's own line of fair-trade, organic teas and sometimes treats like warm chocolate-chip cookies or cake appear on the dining-room table for guests—perhaps the work of Alton's infamous spirit world, or perhaps that of hostess Sandy Belote. “Alton and Grafton are two nearby towns situated along the southwestern edge of Illinois, near the border of Missouri. Both are home to their own collection of first-rate architecture, including—in Alton—the event-friendly Beall Mansion. Constructed in 1902 by famed architect Lucas Pfeiffenberger, it once served as the residence of Senator Edmond Beall and has since been turned into a sought-after B&B. 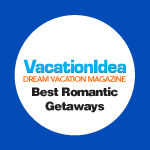 Also featured in St. Louis Magazine, The Philadelphia Sunday Sun, NorthShore Magazine, 417 Magazine, DeForest Times and other major travel, lodging, and wedding publications worldwide.